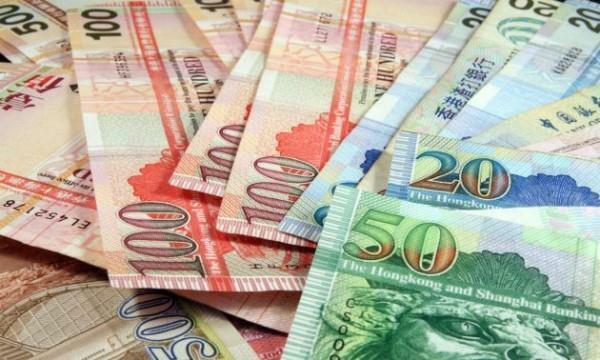 Hong Kong police have issued a warning to the public to remain vigilant as they have noticed a big jump in counterfeit banknotes being seized in the city. Police seized 2,966 fake banknotes in 2018, a rise of 57% compared with the number the year before, the Hong Kong Economic Times reported. Of the seized fake banknotes, 521 were HK$1,000 banknotes and 769 HK$500 notes, which was 1.2 times and 1.4 times more than the year before. A total of 1,414 fake HK$100 notes were found. There was also an increase in the number of other bogus banknotes, including HK$20 notes and even HK$10 notes. A total of 181 fake HK$20 notes were seized, compared with only 64 the year before. Police arrested 24 people who were allegedly involved in the production of the counterfeit currency last year. The police spokesperson said the increase in the number of bogus bills being found was because more raids were conducted last year. Meanwhile, bank staff, retailers and members of the public called police when they found suspicious banknotes. Suspects used the fake banknotes in wet markets, supermarkets, convenience stores or on public transport. A few cases were reported when people went to mainland China to shop and received fake banknotes as change, the Oriental Daily reported. Police said these banknotes could be easily identified if people checked carefully as most were made by laser or inkjet printers on ordinary paper.